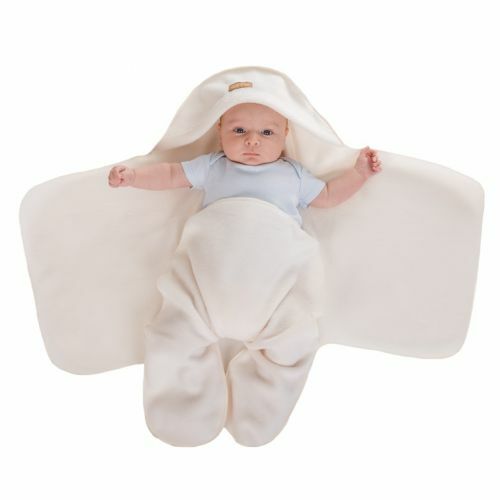 Winter White Nod Pod baby blanket with legs. This classic winter white baby blanket makes an ideal baby shower gift or newborn baby gift for either a baby boy or baby girl. Perfect for using as a baby car seat blanket or out and about in the pram or sling. The baby blanket with legs keeps little feet and legs lovely and warm..